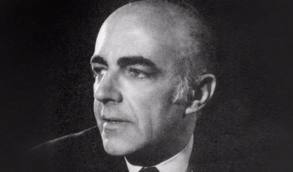 Malcolm Hulke was a successful, and much admired, writer for television, radio, cinema and the theatre from the 1950s through to the late 1970s. He wrote for Armchair Theatre, The Avengers, Crossroads and Dr Who, for which he is best remembered and on which I will be concentrating in this article. It is less well-known that he was also a socialist, belonging for a time to the Communist Party of Great Britain. 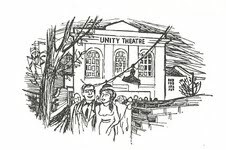 My interest in his work was sparked by coming across a pamphlet he wrote for Unity Theatre, which is held in the collection of the Working Class Movement Library. Malcolm (or “Mac” as he was often known as) was born on 21 November 1924. Despite checking with a number of archives, I have been not able to establish exactly when, and for how long, he was in the Communist Party of Great Britain but it seems to have been in the 1950s. He may have left the party in 1956, as thousands did, when the Soviet Union invaded Hungary and crushed the uprising with tanks. His politics remained on the left, though, unlike other former party members who moved to the right, and this view of the world was reflected in his writing. He began working with Eric Paice in the 1950s. 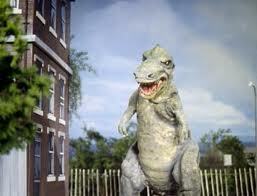 Their first success was The Day of Fear, rejected by ITV, but then taken up by the BBC and broadcast on 1 July 1958. 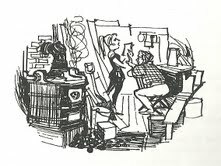 They wrote four plays for Armchair Theatre, broadcast by ABC, whose producer was the Canadian Sydney Newman. Newman, a voracious reader of science-fiction, also commissioned Malcolm and Eric to write a children’s science-fiction serial, Target Luna, broadcast in April 1960. 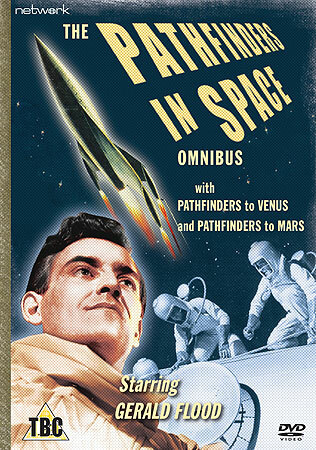 This was a success with the public and Newman commissioned three sequels: Pathfinders in Space, Pathfinders to Mars and Pathfinders to Venus, which aired between September 1960 and March 1961. The stories centred on British expeditions into space launched from a Scottish island. Newman’s aim was to educate young people about science and the space race, which got under way when the Soviet Union launched the first satellite, Sputnik, in 1957, followed by the first cosmonaut, Yuri Gagarin, in 1961. 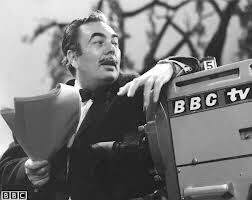 Now working for the BBC as Head of Drama, Sydney Newman created Dr Who with much the same aims as he had in Pathfinders ie to broadcast a popular drama series for young people which would also educate them. 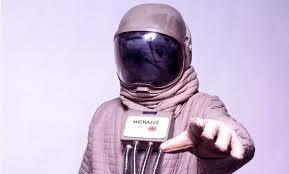 Newman came up with the idea of the mysterious Doctor and his time and space machine, the Tardis, and gave the job of producing the series to Verity Lambert. The first episode An Unearthly Child was broadcast on 23 November 1963, and it became a huge hit when its second serial introduced the Daleks. 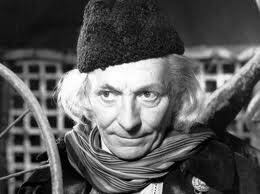 The Doctor was played by William Hartnell from 1963 to 1966 , by Patrick Troughton from 1966 to 1969 and by Jon Pertwee from 1970 to 1974. In December 1963 Malcolm was commissioned to write a serial for Dr Who called The Hidden Planet and produced a number of scripts, but in the end it was not proceeded with. 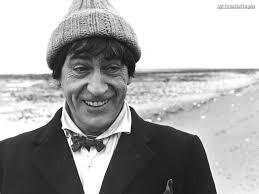 His first broadcast serial was The Faceless Ones, written with David Ellis, and broadcast in April 1967. This featured aliens, known as the Chamaleons, who have taken over an airport and are stealing the identities of travellers in order to take over the world. 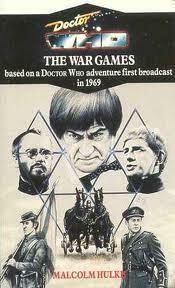 Malcolm’s next contribution to Dr Who was The War Games, written with Terrance Dicks and broadcast April-June 1969. This stretched over ten episodes and was written at haste, because, as Terrance admits, they had run out of scripts. The Doctor and his companions, Jamie and Zoe, land in what appears to be a First World War battlefield, but then discover other wars from the past, such as the American Civil War, are taking place in neighbouring zones. It becomes apparent that they are not on Earth at all, but on another planet where the war games are being run by an alien race so that they can create an invincible army to conquer the galaxy. 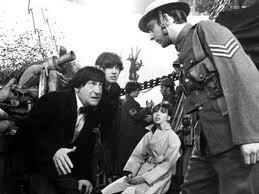 They are assisted by a renegade Time Lord, the War Chief. The Doctor falls in with a band of rebels who have realised what is going on. At the end the Doctor has to summon the Time Lords to resolve the situation. they who do so, but exile him to Earth with a new body In this story Malcolm shows war as violent and futile , controlled by ruthless leaders who place no value on human life. It also shows that people can see through the illusions of war and make a stand together – and win. When Jon Pertwee took over the role of the Doctor in 1970 the producers opted for a new departure, with the exiled Doctor acting as a scientific advisor to UNIT ( United Nations Intelligence Taskforce). Interviewed in 1994, Pertwee said, “I wanted to play him straight, to be a figure that the children believed in, who have enough faith in the Doctor to say the doctor will do it, he will look after us and we’ll be all right under his wings”. The series was driven forward by script editor Terrance Dicks and producer Barry Letts. 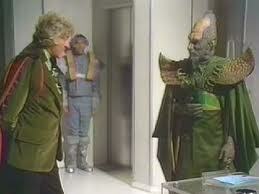 In these serials the Doctor often encounters aliens, not from space, but from out of the earth or the sea . Even those that do land, such as the Axons, have an organic appearance, whilst the Autons transform the everyday material of plastic into a deadly threat. Malcolm contributed six serials to Dr Who between 1970 and 1974, written against a backdrop of considerable political and social upheaval. This included the rise of the Women’s Liberation Movement; many industrial disputes, including national miners’ strikes in 1972 and 1974; growing oncern about the impact of industrialisation on the environment; rising violence in Northern Ireland, which spread to Britain; increasing support for the far-right National Front and rumours of private armies being setup by retired generals. 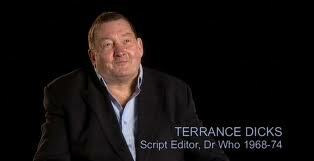 Terrance Dicks says that, whilst they never commissioned a Dr Who with a political message, “there is a streak of anti-authoritianism in all Mac’s work. He doesn’t trust the establishment”. The Doctor’s companions in this era were Liz Shaw (played by Caroline John), Jo Grant (played by Katy Manning) and Sarah Jane Smith (played by Lis Sladen). Liz , we learn at her first meeting with the Brigadier, is a cambridge scientist, “ an expert in meteorites, degrees in medicine, physics and a dozen of other subjects”; Jo is a Unit operative, an expert in “cryptology, safe-breaking and explosives” ; Sarah-Jane Smith is an investigative jounalist. 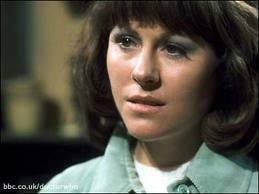 Some of the changes then taking place in the role of women in society are shown by two lines that Malcolm gives to Liz Shaw in The Silurians; “Haven’t you heard of female emancipation? “ (episode 2) and “I am a scientist, not an office boy” (episode 6). In 1970, the year this serial was broadcast, feminist campaigners disrupted the live broadcast of Miss World from the Albert Hall. A social earthquake was underway. UNIT is called in to investigate why an underground atomic research centre – seeking to provide cheap,unlimited power – is suffering problems with their energy supply and mysterious attacks. The Doctor discovers that they have awakened an ancient race, the Silurians, intelligent reptiles who ruled the earth millions of years before the evolution of the human race. Despite the best efforts of the Doctor to broker a peace, suspicions on both sides end in the destruction of the Silurians. Malcolm explored a number of themes in this serial, including the threat posed by unfettered scientific research, relationships between races and the military mind-set which believes that violence can solve all problems. Malcolm inherited the script from David Whitaker and a number of other writers had a hand in the final version, which looks back to the Quatermass serials of the 1950s in its storyline of the astronauts from a British space expedition who vanish. Instead three alien ambassadors land on Earth and are kidnapped by a cabal of politicians and military men, who force them to carry out a series of robberies. The Doctor and his assistant , Dr Liz Shaw, eventually rescue them and avert a war with the aliens This theme of an establishment conspiracy occurs in a number of Malcolm’s serials. 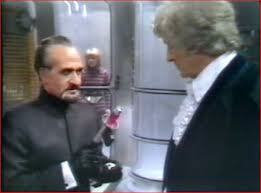 The Master steals files about a Doomsday weapon. The Time Lords pluck the Doctor out of exile and send him into space to stop him. He and his companion, Jo Grant, arrive on Uxarieus, where a group of colonists are building a new society. There is also a native race, the Primitives. A mining company, IMC, lands an expedition and plots to expel the colonists and extract the mineral wealth, using a robot to fake attacks on the colonists. The Master also arrives in the guise of the Adjudicator. The Doomsday weapon is destroyed by the Guardian of the Primitives, the Master is defeated and the mining company is sent packing. There is a strong storyline in this serial about the environment and the rapacity of mining companies The colonists have left Earth because of an environmental crisis which is killing the planet, while the leader of the mining expedition states that what’s good for IMC is good for earth and that IMC want this planet and they are going to have it. 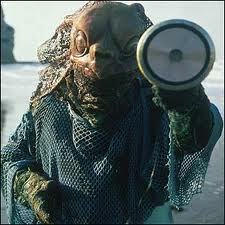 The Sea Devils, broadcast February-April 1972. 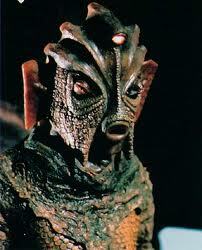 Exploration for oil in the Channel re-awakens another group of Silurians who begin to attack shipping. The Master makes contacts with them, offering an alliance to destroy the human race. The Doctor goes down to their undersea base attempts to broker a peace but this fails when a politician orders an attack. 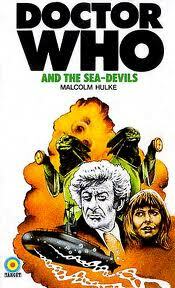 Finally, the Doctor defeats the Master and the Sea Devils, whose base is destroyed. The storyline echoes the first Silurian story with attempts to reconcile the two races ultimately failing and ending in violence. The Doctor and Jo Grant lands in the C26th where the Earth and the Draconian Empire are on the verge of war after a series of attacks which each blame on the other side. It turns that the Master, in alliance with the Daleks, seeking to provoke a war, and then move in unimpeded to conquer the galaxy. 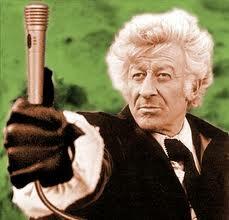 The Doctor convinces the humans and Draconians of the real threat: a joint expedition defeats the Master. . This storyline is surely shaped by the Cold War when the United States and its allies confronted the Soviet Union and its allies. Both sides possessed vast arsenals of weapons, including nuclear weapons, and on a number of occasions came very near to war. Malcolm shows how mutual suspicions can be manipulated, but also that they can be overcome. The Doctor and his companion, Sarah Jane Smith, land in a deserted London under martial law and learn that dinosaurs have appeared, forcing the evacuation of the population. They discover a conspiracy of politicians, scientists and army officers who, concerned for the environment, are planning to return the earth to what they believe will be a “golden”, pre-industrial age using a device called Timescoop. The planet will then be repopulated by an elite group who have been fooled into thinking that they are in a space ship going to a new world, but is in fact an underground bunker. 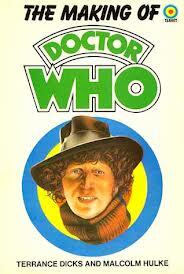 The Doctor defeats the conspirators, sending the leading scientist, Professor Whitaker, into the past. This was perhaps Malcolm’s most openly political storyline, which can be seen as a critique of some elements of the environmental movement of the 1970s, who believed that industrial society was killing the planet and that only a revolutionary change in society and forms of production would suffice. Malcolm also includes a socialist slant on the environment crisis, giving the Doctor a speech at the end in which he says “Its not the oil and the filth and the poisonous chemicals that are the real causes of the pollution…Its simply greed” . As we have seen from his pamphlet on Unity, Malcolm had a strong interest in explaining how drama was produced. In 1972 he and Terrance Dicks wrote The Making of Dr Who, described by Gary Russell as “the most important piece of work in the entire history of Dr Who publishing”. Published in 1972, it recounts in a straightforward way how Dr Who started and developed, as well providing a précis of all the episodes up that point. It also explains how the show is produced and filmed. Nowadays this kind of information is instantly available on the internet, whilst “Making of” programmes, such Dr Who Confidential, lay bare the production techniques. In the predigital age, however, the book was groundbreaking and eagerly seized on by fans keen to know more about their favourite television programme. Malcolm wrote six novels for Target, five of which were based on his own work; Dr Who and the Cave Monsters, Dr Who and the Doomsday Weapon, Dr Who and the Space War, Dr Who and the Invasion of the Dinosaurs and Dr Who and the Sea Devils. 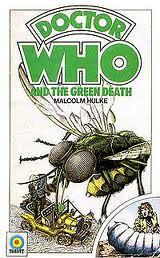 The sixth was Dr Who and the Green Death, based on the serial written by Robert Sloman, which famously featured giant maggots, the product of environmental pollution. They passed through several corridors, glanced into study rooms and kept seeing men dressed as officers from the armies of world history. They even saw two young women dressed in blue slacks and shirts with scarlet neckerchiefs and blue berets. “The Spanish Civil War”, the Doctor said quietly , “Women fought in the frontline there”. Malcolm died on 6 July 1979. Terrance Dicks recalls that, as a convinced atheist, he left orders that there was to be no singing or other ceremony at his funeral and that his friends sat by the coffin not knowing what to do: “Finally Eric Paice stood up, slapped the coffin and said ‘well cheerio, Mac’ and wandered out. We all followed him”. Interviewed for the DVD release of The War Games, David Howe said that Malcolm was “passionate about writing, passionate about Dr Who and what he had done”, while Gary Russell said, “That genius, that little spark of making people come alive on the page is what made me want to be a writer. Its solely down to Malcolm Hulke’s writing of people’s character and that viewpoint. The final word must surely go to Terrance Dicks; “he was a very kind and generous man”. Clearly there is great deal more to be said about Malcolm’s politics and work, not just with Dr Who but also his involvement with Unity Theatre, his contribution to the TUC centenary pageant in 1968, his scripts for The Avengers and Crossroads, his many radio plays, his work in the cinema (including Sigurno je sigurno, a film made in Yugoslavia in the 60s), and the strange tale of an episode he wrote for the German TV comedy series Gestern Gelesen. A full-length study of Malcolm will be published later this year, written by John Williams, with whom I have had the pleasure of exchanging a number of emails. It will be called Mac, The life and work of Malcolm Hulke and will be published by miwk publishing. Michael is a Trustee of the Working Class Movement Library with which he has been associated for 30 years after meeting its founders the late Ruth and Edmund Frow: Ruth and Eddie were a huge influence on my life and I learnt so much from them about working class history and the importance of not forgetting the past and what working people have done to gain political rights and social justice. This entry was posted in Communism, drama, films, TV drama and tagged Armchair theatre, Colony in Space, communist partyof Great Britain, Dr.Who, eric paice, Frontier in Space, Here is Drama- behind the scenes at Unity Theatre, Invasion of the Dinosaurs, malcolm hulke, pathfinders in space, Pathfinders to Mars, Pathfinders to Venus, Sydney Newman, target luna, The Ambassadors of Death, The Day of Fear, The Faceless Ones, The Making of Dr Who, The Sea Devils, The Silurians, The War Games, Unity theatre. Bookmark the permalink.